Photo editing apps is a tool that helps you fine tune pictures as per your choice. For professionals, editing of a photo is a part of their job to send out a brand message to an audience. They can use mobile apps for photo editing that have hundreds of modern editing tools. Photo editing tools have become part of our lives as they are being used on a daily basis on the go by people. This happens because people use photos in many ways today. They create some fun with their photos by adding or subtracting some elements. They use edited photos to highlight an issue or make fun of something etc. According to an estimate, more than 350 million Facebook photos are shared every day. On Instagram, 95 million photos are shared on a daily basis. This is a massive number. But this also highlights the use of photo editing tools on mobile apps. Almost every photo that is shared on social media today is edited by people on their own using the handy editing tools on their mobile phones. Plenty of apps are available free of cost for Smartphone users which leads to a huge popularity of these apps. People are using the them very often. But how precisely the tools are helpful? A professional or an individual can easily handle the tools to accomplish many editing tasks. You can remove any unwanted background material, enhance colors or change colors, retouch photos or crop them, adding a person into a group, adjust brightness and so many other works. Photo editing is not just for fun. For business owners, the editing is much more than that. Since businesses are exploring image-centric social media such as Pinterest and Instagram, photo editing has become essential to convey a brand message using photos. Note that people relate and respond to visuals more effectively than the text. So, all businesses are now using photos to their advantage. Brand building – Images play a crucial role in brand building exercise. By using the editing tools, you can explore the photos to shine up your brand image. Social media strategy – Social media is full of images. So, use your edited images to give your brand message to a target audience. But picking the best photo editing apps is not as easy as seems because plenty of them are available free to the users. 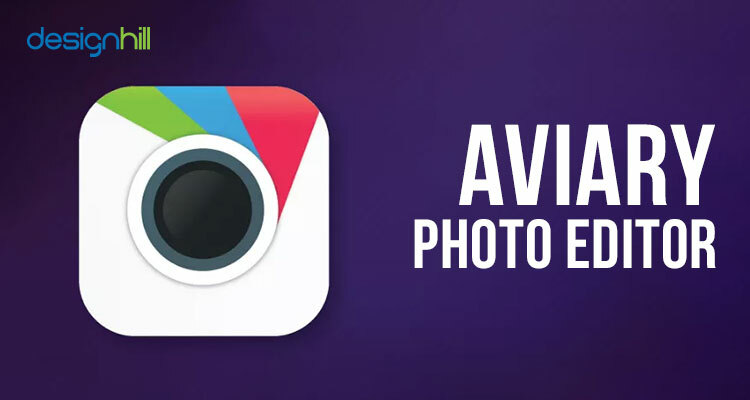 To help you, we here give a select list of top photo editing apps. 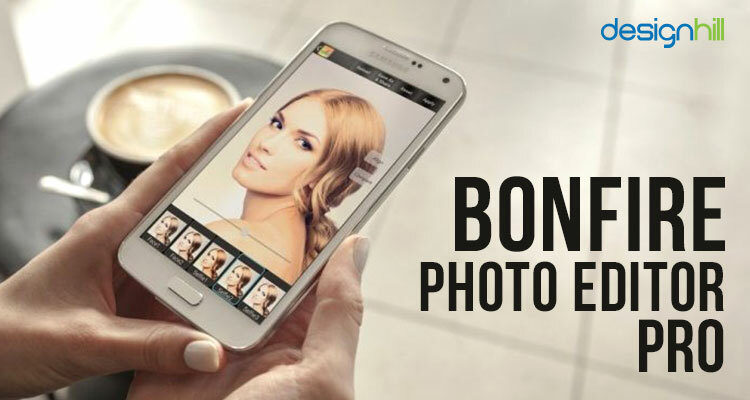 Bonfire Photo Editor is one of the highly useful photo editing mobile apps. You get all the basic features that are crucial to editing photos. You can access filters with the essential editing tools. But the main characteristic of Bonfire is that it supports a sheer number of filters. It also comes with HDR and some unique feature such as Fancy, which is a filter to give your photos a watercolor impression. Some exciting tools such as the skin smoothing and removal of blemish also are attractive. This photo editor mobile app design is user-friendly to recreate photos as per your requirements. You can easily navigate through different pages of the app to find out your photo editing tools. Looking for a mobile app design? 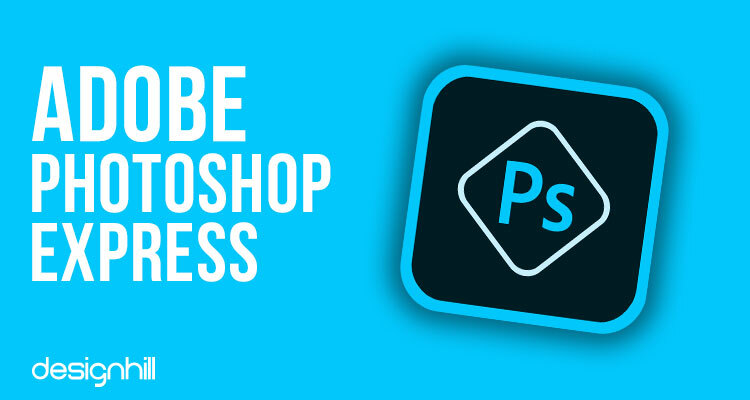 Adobe Photoshop Express is packed with essential editing features such as rotate, flip photos, straighten, and crop. Its minimalistic interface is simple to use. It comes with one-touch filters and has a wide range of colors, frames, autofix, and effects. You also have easy access to advanced tools such as Image Rendering Engine. You can also handle panoramic photos and other larger files easily with the help of this tool. Some features like Noise Reduction help in removing or minimizing all the undesirable design elements such as speckling in night photos and grains. With this tool, you can share photos on your social media page on Facebook, Twitter, and other channels. PicsArt claims to have 500 million downloads, making it one of the most sought-after photo-editing mobile apps. It has plenty of options when it comes to customizing your photos. You can use built-in camera features and share photos on the social network. To make photos even more attractive and exciting, use the features like collage, stickers, frames, draw, and many many more. You can have this app free. LightX Photo Editor is primarily an excellent tool to make photo collages. But you can do a lot of jobs such as changing photo background, making a cutout, adding stickers and photo frames to your pictures. Use this tool also to blur photos, create caricatures, cartoons, selfies, and portrait photos, merge photos for multiple exposure effects, and color splash effects. You can also create your text memes in your photos. Many businesses are using photo editing tools to create visuals that help build an impressive brand identity. The tool is equipped with advanced photo edit tools such as color mixing, editing contrast, exposure, brightness, saturation, hue, shadows, and highlights, etc. you also have access to many photo filters such as drama, glow, grunge, vintage, and others. 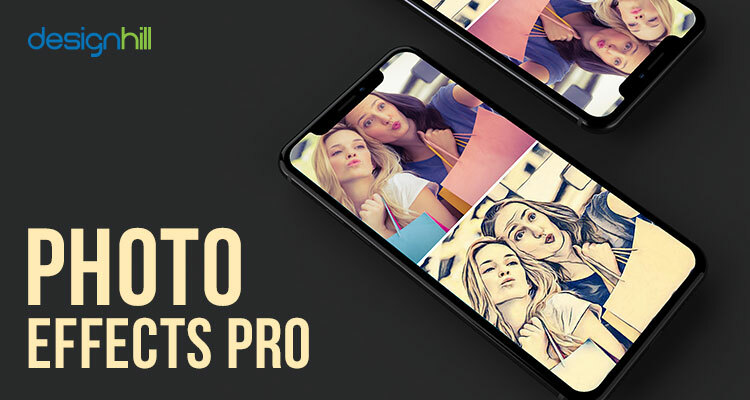 Photo Effects Pro is your fun way to create and edit personal photos as the tool gives you a lot of powerful editing tools. The tool comes equipped with 40+ great filters and effects such as Contrast, Autumn, Blackout, Desperate, Desert, Border, Displace and many more. You can add texts with your choice of nice fonts and edit it with the touch. 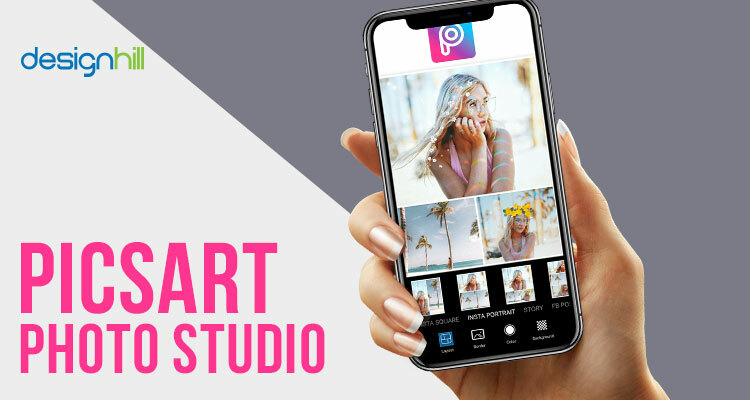 Features like fingerpaint on the photos, photo collage, photo grid, PIP, postcard, Magazine, and fun stickers are exciting features available to the users. 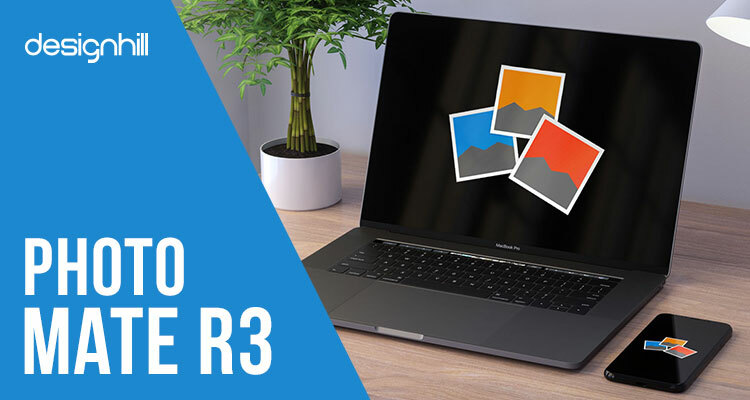 Photo Mate R3 is the latest version of Photo Mate R2. Once it was the best photo editor. The new tool is equipped well with a strong suit of new editing tools, and it is an ideal tool for doing primary photo editing jobs. You also have native support for RAW files. 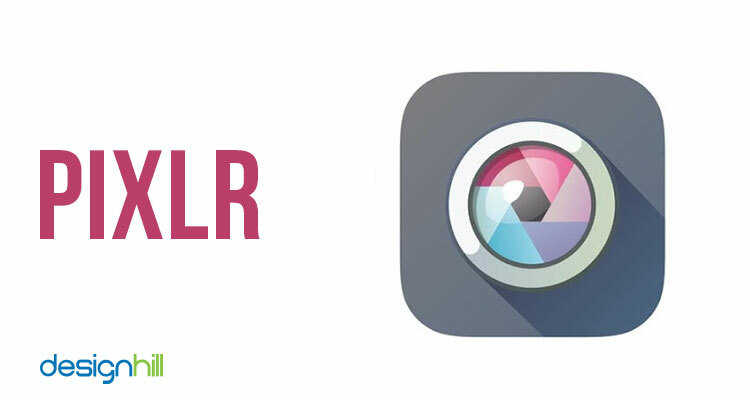 The app has features like Lens Collection if you want to fix lens issues. This is, in fact, a tool for professionals. This is another photo editing mobile apps that are part of the Adobe family. The photo editor gives you access to the modern features of photo-editing. It has a super intuitive interface and has basic editing tools such as crop and filter, color adjustments, tweak vignette, focus, lighting, sharpness and many more. You can depend on this app for a lot of functions. The app can be downloaded for free. So, if you want to design a visual that is your business identity, you can use such photo editing tools to create something unique. For example, when you create a logo and using a photo or image as part of the design, this tool comes handy in giving some touch to make the logo unique. 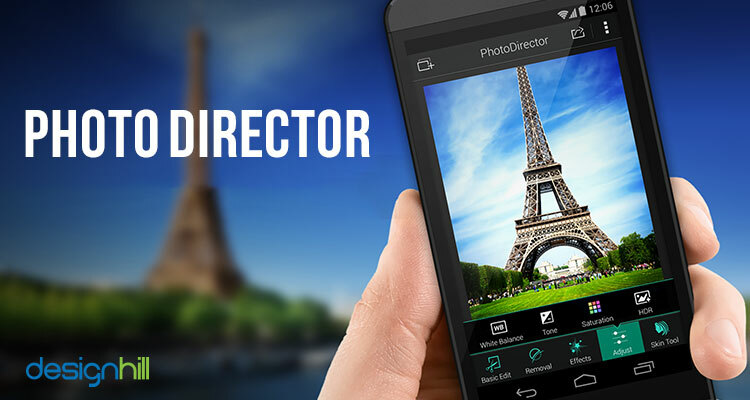 PhotoDirector is a user-friendly and stylish interface that has multiple editing features for the professionals. You can quickly make adjustments for colors and tone of your choice. The app has inbuilt camera features enabling you to apply live photo effects while you click your photos. Also, as you edit the images, you can share them with social channels like Twitter and Facebook. It also helps in removing any unwanted object or person from your photo as you use the Content-Aware Removal editing tools. 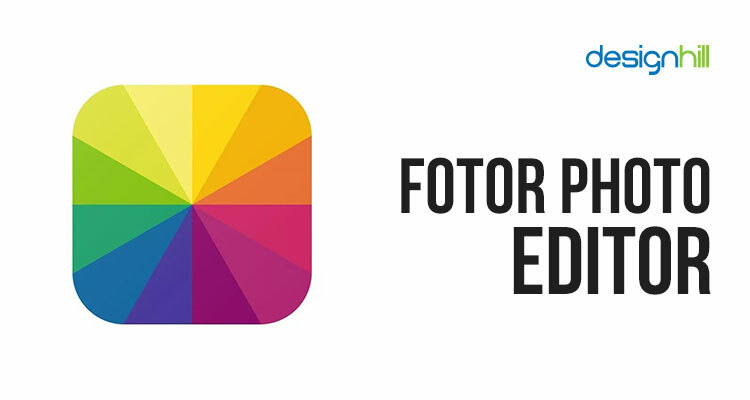 Fotor is yet another popular mobile app for photo editing. This is one of those famous image editing tools for graphic design services and that find a place in every list of the tools. It has more editing features than most others combined. You can enhance photos with the help of one-tap tool whenever you like. Other useful editing tools from this app include elements for brightness, contrast, exposure, saturation, shadow, rotate, crop, vignetting, temperature, RGB, highlights, and others. Another stunning feature of the tool is that there are over 100 filters that you can choose as per your editing requirement. However, you have to log in to the app. And it is not free. 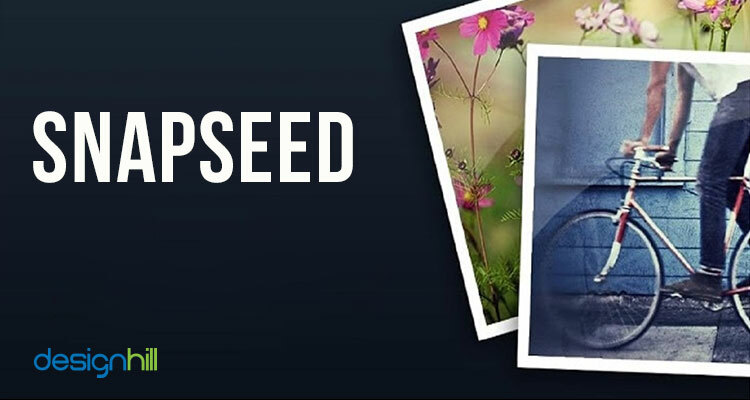 Snapseed is a free editing tool that comes with a lot of features. The app is an easy to use interface that you can tap to open any file. It is well equipped with a wide range of filters when you want to modify the looks of a photo. It also gives you access to 29 different varieties of tools. Once you are done with the editing, the app lets you share the photos with your peers on social media. Most businesses need graphic designs to promote to promote their brands and also to enhance reach amid target audience. Such photo editing tools will help get a visual that helps you in creating your brand image in your niche. 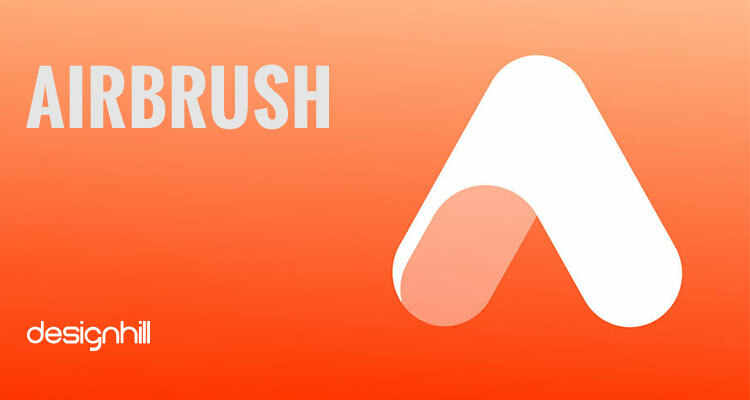 AirBrush is a user-friendly editor app that has many retouch tools. You can use many cool filter options that give you desirable editing results. You can create photos with a variety of effects. The app has tools like pimple remover, brighten eyes, whiten teeth, artistic retouching, natural and radiant filters, body slimmer, and other tools. You can share your edited photos with social networking. Also, the tool enables you even to tan your skin to give it a glowing perfection. The tool is also useful for reshaping, slimming, and lengthening your selfie or photo. Toolwiz Photos comes with 40+ style filters such as art filters including same landscape, glamor glow, flatten, and vintage. It also has more than 50 Fast Filters and over 80 perfect Feeling Tone Filters. You have many image processing tools like Resize, Reshape, Flip Blending Mixer, Deskew, Lasso, Magic Cut Out, Layers, Rotate, Crop, Perspective, Magic wand, Draw, and Mosaic. You can also use the tool for artistic effects. These tools include Fish Eye, Art Effect: Deep Render, PIP, Urban, Watermark Double Exposure, Texturizer, Mirror, Kaleidoscope, Polar Coordinates, Target, Color Splash, Spatial, Water Reflection, and Soft Smudge. There are 20+ blurring tools with the app and 10+ painting styles such as wall painting and color lead painting that give you the liberty to experiment. 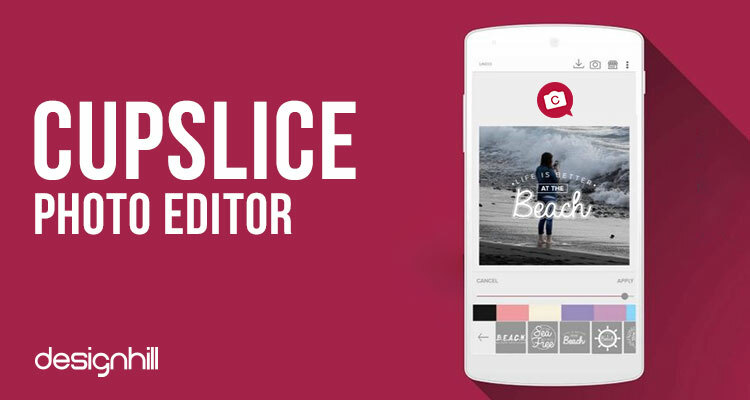 Cupslice Photo Editor is one of the trending photography apps on the social media. It is known for its touch up and beautifying tools that make your photos look great. You have access to many filters that give you a unique editing experience. There are also many stickers that are updated. You can customize filters to give your photos a new look. The tool comes with all the basic editing tools like frames, saturation adjustment, hue, crop, collage, brightness, contrast, and others. Remember that photos or images are part of an array of designs even web page design. You can give a new dimension to the photos on your website by retouching them with these tools. 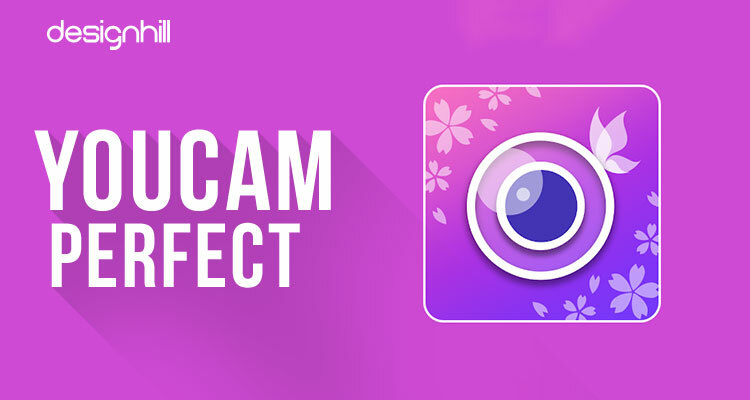 YouCam Perfect comes loaded with an array of photo editing tools. You get one-touch filters, rotate and photo crop, blurring the background, mosaic pixelates, HDR effects, and vignette tools with this app. You also get a Face Reshaper, Body Slimmer, and Eye Bag Remover with the app. It also gives you access to video selfie capabilities. Pixlr is another great mobile app for photo editing that you can use for an array of overlays, filters, and effects. Using different layouts, you can create backgrounds, photo collages, and spacing options. The app also gives you Auto Fix feature to stylize your photos with pencil drawings, ink sketches, and a doodle. The tool also lets you share the images in social media. 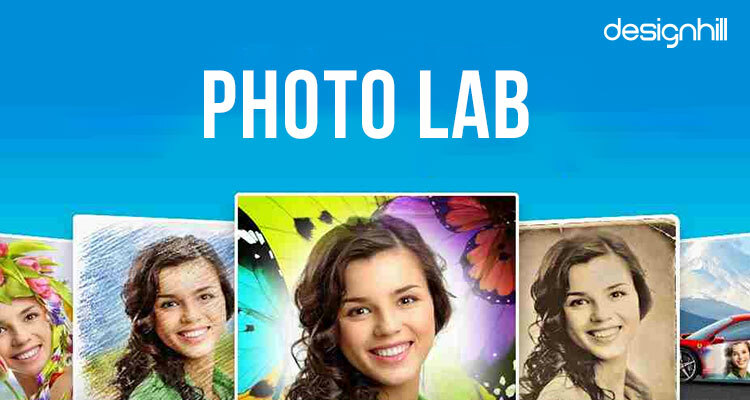 PhotoLab has over 800 types of effects including impressive frames, artistic effects, collages, stylish photo filters, realistic photomontages, and many more. These effects give a photo a unique look and touch. Some basic tools such as crop, sharpness, rotating, lighting and touch-up are useful to edit photos in your unique ways. We often think that photo editing tools are not useful to the designers. But that is a mistake. The tool may not be directly helpful in creating a logo design or any other design, but it is undoubtedly a useful tool if your logo involves some image. You can give a new look to the image by using these editing tools to your advantage. However, be prepared to have the watermarks on your photos if you use the free version. 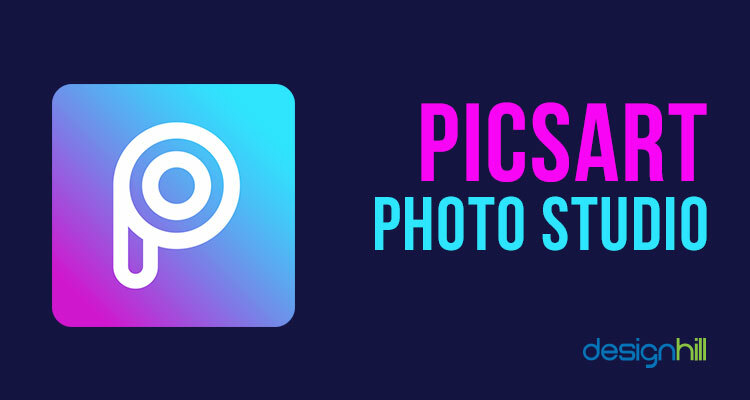 PicsArt Photo Editor boasts of over 500 million downloads. This updated photo editing tool comes with a collage maker and grid, free sticker, clip art and sticker maker, drawing and camera tools, photo remix and free-to-edit images, and other features. You can also create contests and photo challenges. 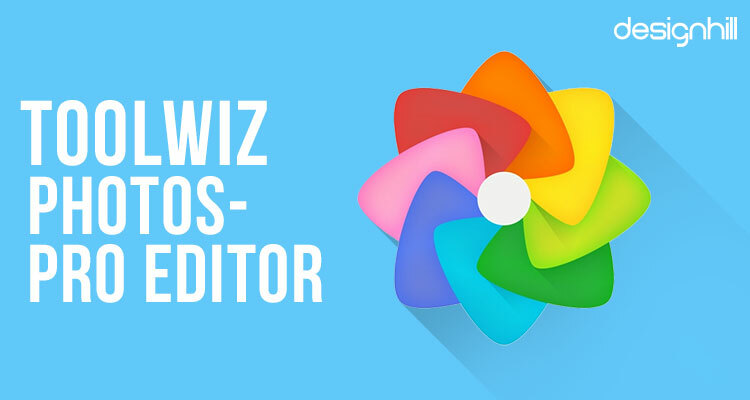 It has over 100 editing tools that are useful to a community of creative people. 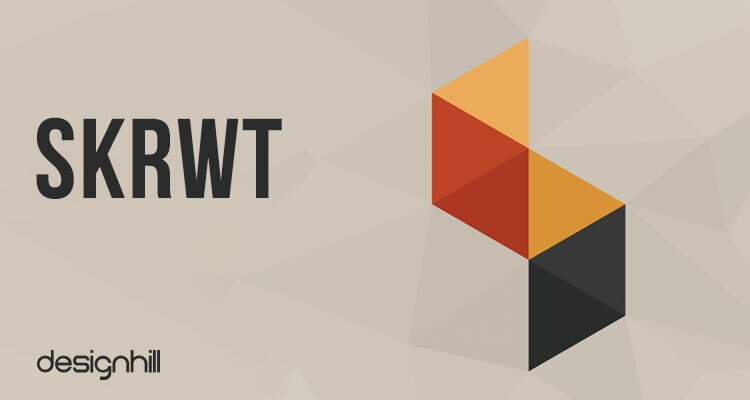 SKRWT is a comparatively newer editing mobile app, but it has all the modern editing tools that a professional needs. You can have tools like lens correction and perspective correction. Two add-ons with MRRW and 4 PNTS are key features of the app for the users. You get features such as corner point reworking and mirroring, and many more to add value to your photos. A professional graphic designer can also use this tool. The designer uses many visuals in logos, business cards, and other design products. With the help of the editing tools, a designer can fill the image with some desirable emotions and twists. 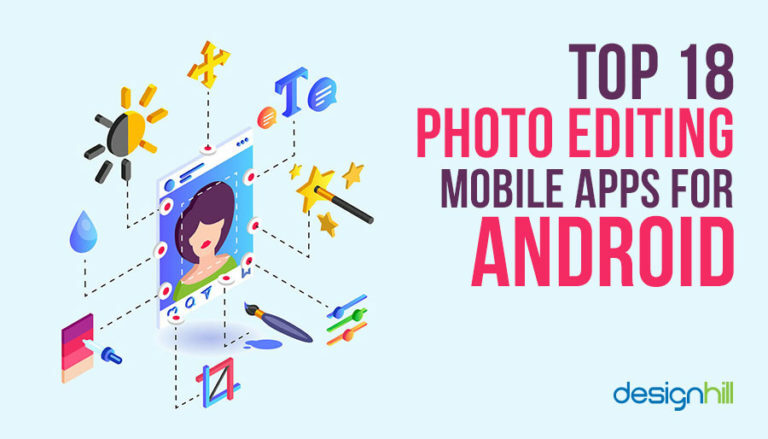 These are the top modern mobile apps for photo editing. There are many others, but these are sufficient to give you all the basic and some outstanding tools to recreate photos as per your requirements. Photos or images are part of designing a wide range of graphic art products like logos, business cards, websites, mobile apps, and so on. All such designs, therefore, require the use of photo editing tools. But when you think of having a logo etc. visual identity for your business, you can depend on Designhill, a leading marketplace for sourcing of various designs. You will get many design ideas at an affordable price at this site. Mobile apps for photo editing are plenty in the market. 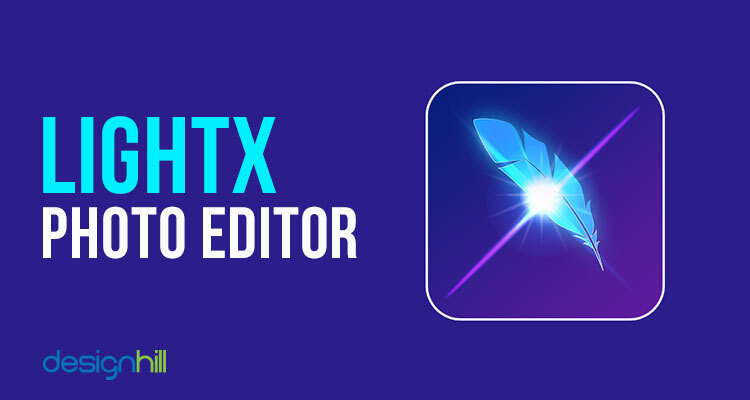 Many such editing apps are accessible online free. So, you can create a photo by giving it a new twist with the help of the editing tools. These photo editing apps are excellent tools to get customized photos that send out your message to the audience.